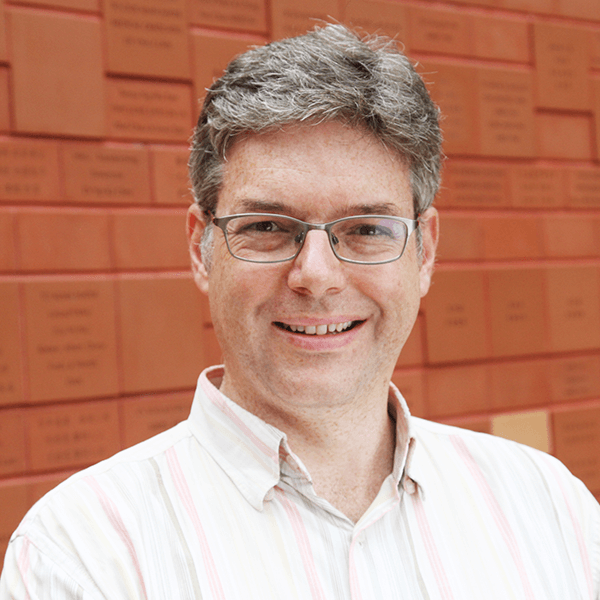 Dr David A Palmer is an Associate Professor in the department of Sociology at the University of Hong Kong, which he joined in 2008. After completing his Ph.D. at the Ecole Pratique des Hautes Etudes (School for Advanced Research, Sorbonne), he was the Eileen Barker Fellow in Religion and Contemporary Society in the Department of Sociology of the London School of Economics and Political Science, and, from 2004 to 2008, director of the Hong Kong Centre of the French School of Asian Studies (Ecole Française d’Extrême-Orient), located at the Institute for Chinese Studies at the Chinese University of Hong Kong. Palmer is best known for his award-winning books The Religious Question in Modern China (Joseph Levenson Award of the Association for Asian Studies and PROSE award of the American Publishers’ Association, co-authored with V. Goossaert) and Qigong Fever: Body, Science and Utopia in China (Francis L.K. Hsu Award of the Society for East Asian Anthropology), both of which have become essential reading for studies on contemporary Chinese society and religion. His latest book Dream Trippers: Global Daoism and the Predicament of Modern Spirituality (co-authored with E. Siegler) has just been published by the University of Chicago Press. He has also published numerous articles, journal issues and edited volumes on Chinese religion, civil society, Daoism, the Baha’i Faith, and modern and transnational religious movements. Palmer’s interdisciplinary research and teaching is situated at the intersection of sociology and anthropology, and is informed by scholarly traditions in history, religious studies and Sinology. His current research projects focus on civil society, subject formation and governance in China; Chinese religion, Daoism and ethnicity in southern China and the Indo-Chinese Peninsula; and inter-Asian religious circulations. He leads the “Rethinking Spirituality and Religion in Asia” research cluster at the Hong Kong Institute for the Humanities and Social Sciences, where he is on secondment for the academic year 2017-18. Civil Sphere Theory Globalization Project. Yale University Centre for Cultural Sociology and HKU Contemporary China SRT, 2016-2018. Co-convenor of Civil Sphere in East Asia book project, in collaboration with Jeffrey Alexander, Agnes Ku and Sunwoon Park. Daoism, Chinese Imperial Power and Borderland Local Society: the Case of the Lanten Yao in Laos. British Library Endangered Archives Programme, 2015-17 (Co-I with Joseba Estevez and Josephus Platenkamp); PI, HKU Seed Grant for Basic Research, 2017-18. New Approaches to Religious Pluralism in Asia: India-China-Indonesia. PI, United Board for Christian Higher Education in Asia, 2016-2019; in collaboration with the Indonesian Consortium for Religious Studies and the Asian Centre for Cross-Cultural Studies (Chennai, India). Infrastructures of Faith: Religious Mobility on the Belt and Road. PI, Hong Kong Institute for the Humanities and Social Sciences, HKU BRC Strategic Research Fund, 2018-2021. A Values-Based Evaluation Framework for Humanitarian Education Programmes. Co-PI with Marie Harder (HKU Faculty of Social Sciences ExCEL3, Fudan University, Brighton University and a major social service agency in Hong Kong), 2017-2020. The Religious Question in Modern China (University of Chicago Press, 2011, co-authored with Vincent Goossaert). Qigong Fever: Body, Science and Utopia in China (Columbia University Press, 2007). Chinese Religious Life (Oxford University Press, 2012; Chinese edition (中國人的宗教生活) at the Hong Kong University Press, 2014), co-edited with Glenn Shive and Philip WIckeri. The Civil Sphere in East Asia, ed. by Jeffrey Alexander, David A. Palmer, Agnes Ku and Sunwoon Park. Cambridge University Press. Self-Government in China: Cultivating Autonomy under Neo-Socialism (co-authored with R. Ning, F. Winiger, A. Iskra, Q. Liu, Q. Peng and Z. Liu). “Occulting the Dao: Daoist Inner Alchemy, French Spiritism and Vietnamese Colonial Modernity in Caodai Translingual Practice” (with Jeremy Jammes). Journal of Asian Studies, forthcoming, 2018. “Transnational Sacralizations: When Daoist Monks Meet Spiritual Tourists.” Ethnos: Journal of Anthropology 79: 2 (2014), 169-192. “From ‘Congregations’ to ‘Small Group Community Building’: Localizing the Bahá’í Faith in Hong Kong, Taiwan and Mainland China.” Chinese Sociological Review 45: 2 (2013), 78-98. “Gift and Market in the Chinese Religious Economy”. Religion 41:4 (2011): 1-26. “Chinese Redemptive Societies and Salvationist Religion: Historical Phenomenon or Sociological Category?” Journal of Chinese Theatre, Ritual and Folklore / Minsu Quyi 172 (2011), pp. 21-72. “China’s Religious Danwei: Institutionalizing Religion in the Peoples’ Republic.” China Perspectives 2009/4, pp. 17-31. “Modernity and Millenialism in China: Qigong and the Birth of Falun Gong”, Asian Anthropology 2 (2003), pp. 79-110. “Three Moral Codes and Micro-Civil Spheres in China,” in Jeffrey Alexander, David A. Palmer, Agnes Ku and Sunwoong Park eds., The Civil Sphere in East Asia. Contracted with Cambridge University Press. “The Resurrection of Lei Feng: Rebuilding the Chinese Party-State’s Infrastructure of Volunteer Mobilization” (with Rundong Ning), in Elizabeth Perry, Gzegorz Eckiert and Xiaojun Yan eds., Ruling by Other Means: State-Mobilized Social Movements. Contracted with Cambridge University Press. “Secularization, Sacralization and Subject Formation in Modern China” (with Fabian Winiger), in Peter van der Veer and Kenneth Dean eds., A Secular Age in Asia?, Palgrave MacMillan, forthcoming. “Religion, Spiritual Principles and Civil Society,” in Ben Schewel and Geoff Cameron eds., Religion and Public Discourse in an Age of Transition: Reflections on Baha’i Practice and Thought. Guelph, ON: Wilfrid Laurier University Press, 2018. “Is Chinese (Lack of) Religion Exceptional?” In Ryan Hornbeck and Justin Barrett, eds. Homo Religiosus and the Dragon: Cognitive Studies of Religion in China. Springer Academic Publishers, 2017. “Religiosity and Social Movements in China: Divisions and Multiplications”, in Gilles Guiheux & K. E. Kuah-Pearce (eds. ), Social Movements in China and Hong Kong: The Expansion of Protest Space. ICAS/Amsterdam University Press, 2009, pp. 257-282. “Heretical Doctrines, Reactionary Secret Societies, Evil Cults: Labelling Heterodoxy in 20th Century China”, in Mayfair Yang (ed. ), Chinese Religiosities: the Vicissitudes of Modernity and State Formation. Berkeley: University of California Press, 2008, pp. 113-134.